This is the oldest course on the coast. They have 27 holes, the new 9 holes are called the Links playing from 10th hole to 27th hole. The Old course is part links and part parkland. The course is located in a protected natural area, given the innumerable species of birds that live there. 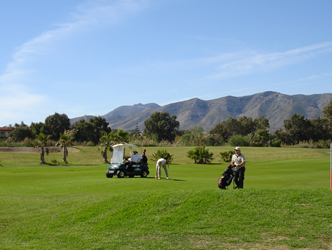 Parador Old is a good course to play for our clients that want a quick game same day of arrival or departure.